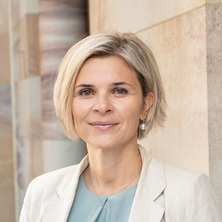 Dr Vukovic graduated from The University of Western Australia in 2004 with a Bachelor of Science (Honours), majoring in both neuroscience and genetics. She was awarded her PhD from the same institution in 2008. She then relocated to The University of Queensland to join Professor Perry Bartlett’s laboratory at the Queensland Brain Institute as a Postdoctoral Research Fellow. She was awarded a Queensland Government Smart Futures Fellowship in 2010. In 2015, Dr Vukovic established her independent laboratory with the School of Biomedical Sciences and the Queensland Brain Institute. Her lab investigates how microglia, the brain’s resident immune cells, influence the process of learning and memory in ageing and disease. Dr Vukovic is a recipient of an Australian Research Council (ARC) Discovery Early Career Research Award (2015–2018). We have demonstrated that microglia (brain's resident immune cells) can exert a dual and opposing influence over adult neurogenesis (the birth of new neurons) in the hippocampus under different physiological conditions, namely exercise, ageing and following brain injury. The ultimate goal of our research is to link cellular and molecular events to altered behaviour, and to harness the regenerative potential of adult neurogenesis through immunomodulation to stimulate optimal cognitive function and treat conditions associated with learning and memory deficits. Ruitenberg, Marc J. and Vukovic, Jana (2008) Promoting central nervous system regeneration: Lessons from cranial nerve I. Restorative Neurology and Neuroscience, 26 2-3: 183-196. Codd, L. N., Vukovic, J., Blackmore, D. G. and Bartlett, P. F. (2015). Exercise improves learning and increases neurogenesis after an endothelin-1-induced hippocampal stroke in adult mouse. In: International Journal of Stroke. Unknown, Unknown, (58). Unknown. Codd, L., Vukovic, J., Blackmore, D. and Bartlett, P. (2015). Learning and neurogenesis are improved with exercise after an endothelin-1-induced hippocampal stroke in adult mouse. In: 25th Biennial Meeting of the International-Society-for-Neurochemistry Jointly with the 13th Meeting of the Asian-Pacific-Society-for-Neurochemistry in Conjunction with the 35th Meeting of the Australasian-Neuroscience-Society, Cairns Australia, (334-334). Aug 23-27, 2015. Vukovic, J. and Bartlett, P. (2015). Role of microglia in mediating exercise-induced neurogenesis. In: 25th Biennial Meeting of the International-Society-for-Neurochemistry Jointly with the 13th Meeting of the Asian-Pacific-Society-for-Neurochemistry in Conjunction with the 35th Meeting of the Australasian-Neuroscience-Society, Cairns Australia, (249-249). Aug 23-27, 2015. How does neurogenesis in the adult hippocampus influence learning & memory?